Our cover story this week may lead you to question much of what you hear and read about scientific and medical studies. It's a cautionary note issued by respected industry leaders who say unseen interests are exerting enormous control over research and what is-- or isn't-- published. Their startling claim: that a large percentage of articles in prestigious medical journals are simply not to be believed. We begin with Dr. Marcia Angell of Harvard, a pioneer in the medical journal field. What makes Dr. Marcia Angell's skepticism so remarkable is where she places much of the blame: on researchers and medical journals. That includes the prestigious New England Journal of Medicine, where she worked for 20 years and was its first female Editor in Chief from 1999 to 2000. Sharyl: Most people probably think an article is in a journal, probably written at a university based on independent study, and that's that. But before we get to that, we begin with a more obvious example of questionable science: The Chocolate Diet. It was publicized by a slick marketing campaign and even a song. Web Video: A scientist in Germany recommends chocolate treat. The study was a hoax by a journalist to show how easy it is to get shoddy research published. John Bohannan: I already knew that there were fake journals who would publish this stuff, but would journalists pick it up and turn it into a big story? And the sad answer is yes, very big. A chocolate diet is one thing but more and more prestigious journals are getting caught inadvertently publishing false studies. Sharyl: What's your view of how much we can trust the articles that appear in these prestigious medical journals? Dr. Howard Pomeranz: One always has to be aware of the possibility that somebody who is an author or coauthor or someone who is consulted to help support the research was a paid consultant by the pharmaceutical industry and that's not always apparent. Dr. Howard Pomeranz is a neuro-ophthalmologist at the Hofstra Northwell School of Medicine. He's authored dozens of journal articles and says many studies are written by academic researchers fraught with conflicts of interest. Sharyl: In some cases, it sounds like it's nothing more than advertising by an employee that works for a drug company. Pomeranz: It is and I think that's often the way you have to look at it. Angell: I came to the New England Journal of Medicine in 1979. Starting about then was when you saw the drug companies assert more and more control until finally they over the next couple of decades, they began to treat the researchers as hired hands. They would design the research themselves. You know you can do a lot of mischief in how you design a trial. Or we'll test this drug and we'll tell you whether it can be published or not, and so if it's a positive study, it's published, if it's a negative study, it'll never see the light of day. That happened in 2000. The makers of an experimental AIDS vaccine threatened to sue Dr. James Kahn, their lead researcher at the University of California San Francisco for $7 million, to keep him from publishing study results showing the vaccine didn't work. Angell: An official of the company said something to the effect of, 'we have put $30 million into that study, we have our rights,' or something like that. Angell says as she applied due diligence to the many studies submitted to the New England Journal of Medicine, it started to feel like a losing battle. Angell: I would call up and say, okay, you've shown that your drug is pretty good. But there's not a single side effect. Any drug that does anything is going to have some side effects. And I had people say, 'well the sponsor won't let me'. And so, I became to be extremely distrustful of most of the research that was published. We did our very best, we often rejected things because it was clearly biased, but anything we rejected always ended up in another journal. Angell left the New England Journal of Medicine in 2000, but kept her eye on the journal industry, which she says resisted meaningful efforts to rein in conflicts of interest. In 2009, she wrote an article that famously declared "It is simply no longer possible to believe much of the clinical research that is published." Sharyl: What would you say is the state of the journal landscape today and the New England Journal of Medicine, particularly? Angell: I think that that role that the New England Journal used to fill, one was the role of being skeptical, the other was the role of caring about the ethics of the whole system. I think the journal has given that up, the New England Journal of Medicine has given that up. The New England Journal of Medicine declined our interview requests, but told us "since 1984 we have requested author disclosures." In 2009, the journal says it helped pioneer a universal form requesting "that authors report all relevant financial conflicts" during the most recent three years. And it posts the form and study sponsorship. Besides Dr. Angell, another powerful voice is also weighing in. The current Editor in Chief of the British journal Lancet, Dr. Richard Horton, wrote a scathing editorial saying: "Much of the scientific literature, perhaps half, may simply be untrue; science has taken a turn towards darkness." Annie Waldman: Be skeptical about everything. Be skeptical about every study that you read, whether it's in the New England Journal of Medicine or some journal you've never heard of. Annie Waldman writes for the nonprofit ProPublica. Annie Waldman: Well, in academia there are a lot of expectations. Some of it is the influence of wanting to get a promotion, wanting to get tenure, wanting to get another job somewhere else. If you get a result which is not what you want, do you still go ahead and publish it? Perhaps you have millions of dollars of funding behind it. 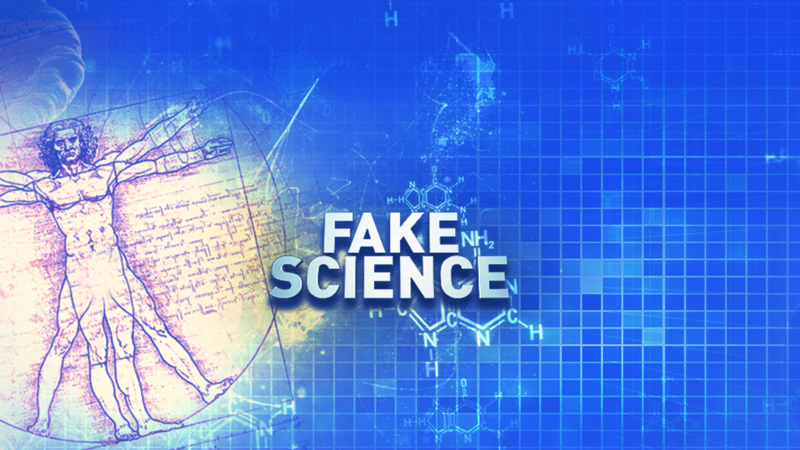 Besides misleading doctors and the public, fake science and provable fraud can cost taxpayers millions. Dr. Eric Poehlman got $2.9 million dollars in federal grants and published hundreds of medical articles on obesity and menopause before he got caught fabricating data while at the University of Vermont School of Medicine. In 2005, he became the first academic researcher sentenced to prison for fraudulent studies. From 1992 to 2012, taxpayers shelled out $58 million to scientists whose papers were later retracted due to misconduct. Sharyl: What do you see as a potential risk or peril of doctors reading these journal articles that may be fraught with conflicts of interest or may be inaccurate? Pomeranz: It ends up that a lot of us end up getting bought by the pharmaceutical industry. Interestingly, we rely a lot on the pharmaceutical industry to tell us about what's good about their drug and to convince us to use it, and we're not as critically inquisitive as we should be about, you know, whether a drug is, is truly helpful. What are the side effects? What are the downsides of using the medications? Today, Angell is at Harvard Medical School. She says experience has taught her to question nearly all the studies she reads in medical journals or hears about on the news. Angell: Anything you're going to put in your body, I think, there should be more than one study showing roughly the same results, ideally coming at it from different directions. What you want to see is something that's not going to hit the front pages of the newspaper, it's going to be way in the back that says yet again, this drug has been shown to be helpful. That's the one you should take, not the one that gets the headlines. Some journals are responding to the criticism. The prestigious British Medical Journal recently started requiring researchers to share data, and allows dissenters to comment on its articles. For its part, The New England Journal of Medicine says experts put hundreds of hours of work in on each published paper to ensure they meet exacting standards.